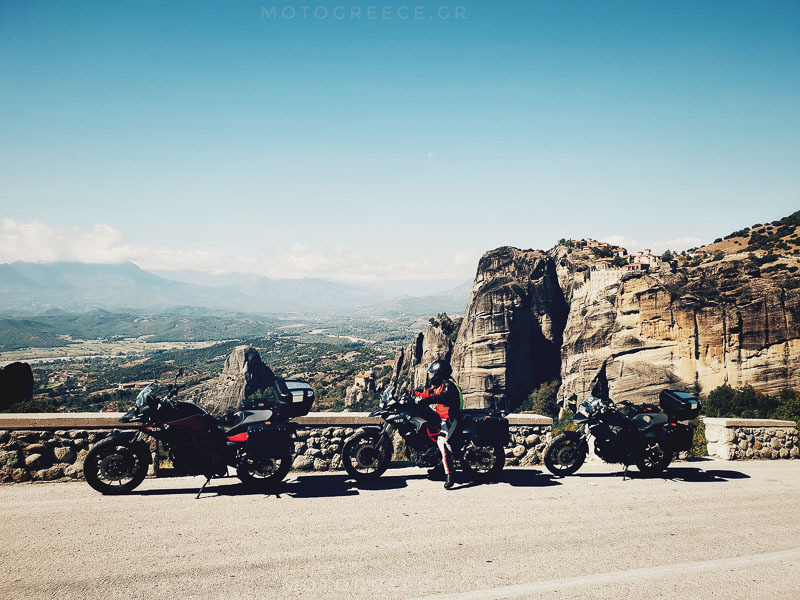 In a previous post of ours we talked about why your next motorcycle tour in Europe should be in Greece, now let’s read some riders reviews about their motorcycle tours in Greece. There is no better proof of what we are saying than our customers’ opinions who back our statement 100%! All of the following opinions are quoted from our customer’s reviews which can be found either on Google , or on TripAdvisor or on our Facebook page. We think that when such points of view come from motorcyclists who have had experiences from travelling in many countries, they have more “weight” since there is a measure to compare. 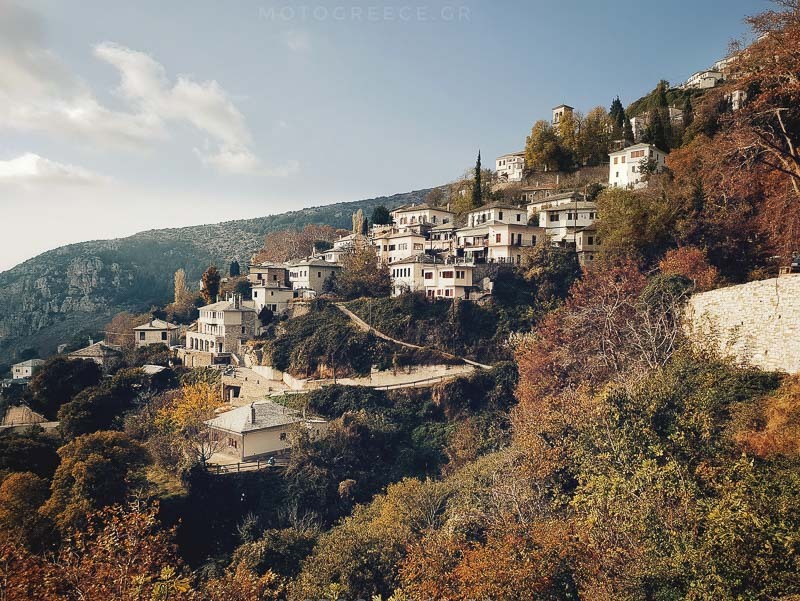 “I rented a BMW F750 GS from Moto Greece for 2 weeks in August this year and traveled alone the entire length of mainland Greece taking in some of the most beautiful roads and scenery you can get. I’ve ridden all over Malaysia, the entire length of Thailand, Sri Lanka, France and Italy, but Greece trumps them all. While the Stelvio Pass in Italy only lasts a few hours and the 1860 corners in Chang Mai to Mae Hong Song in Thailand will give you a day of twisties, Greece has weeks of this stuff”. “First I headed south to the mystical Peloponnese taking in the Corinth canal and Epidaurus. Then it was a beautiful coastal ride further south with amazing beaches and coast coupled with lovely twisties with little traffic on them. This was in Aug too so I was surprised at how quite the roads were. 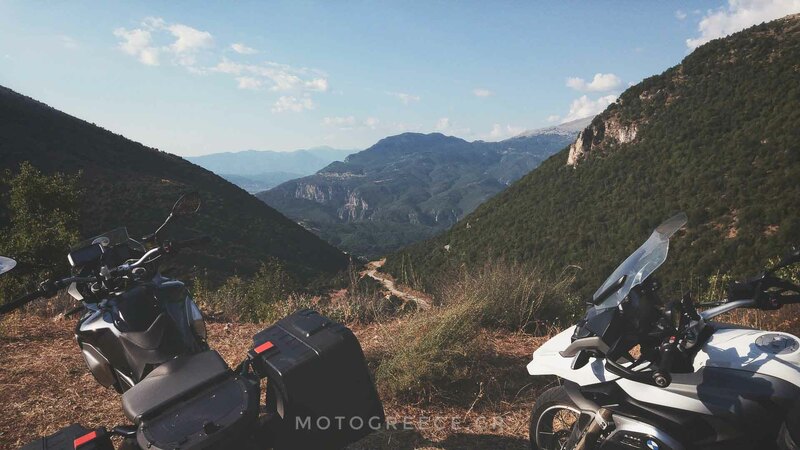 I went right down to the southern tip and back up to Mystras where there is an unbelievable mountain road from Mystras to Kalamata – twisties for days! “But the real fun begins when you cross the bridge at Patras and head north into the mountain ranges of Tzumerka and Papingo. These roads really are a treasure and about 95% paved with the odd short section of gravel. 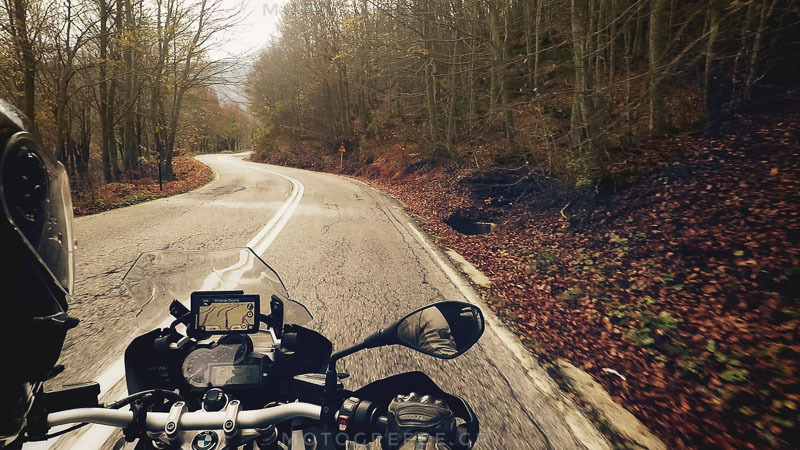 “Riding a motorbike in the wonderful roads of the Peloponnese was amazing experience”. 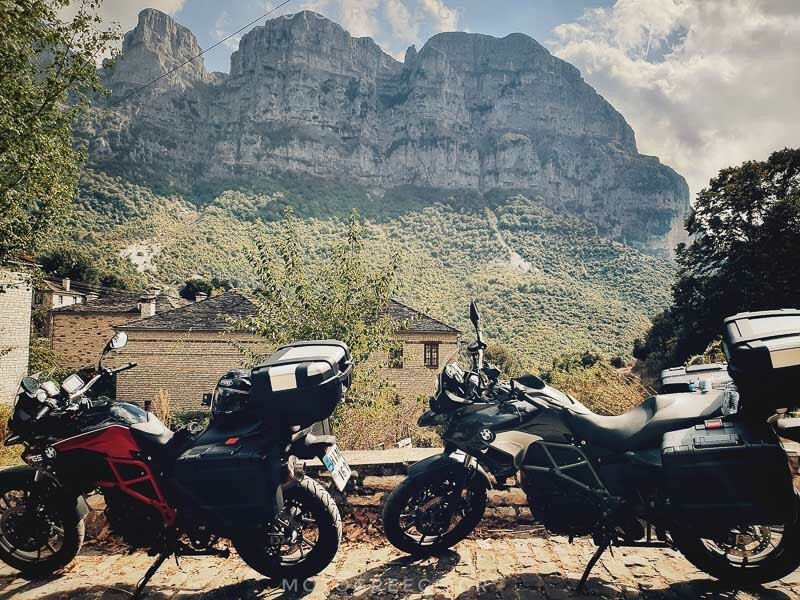 “We toured the Peloponnese area and I would highly recommend it; it’s just total saturation of curvy mountain road riding with incredible scenery and views from the coasts to the peaks. Many, many small quaint villages to tour through, stay the night, catch lunch, etc”. “The roads in Greece are amazing… they’re totally underrated as they provide just as good riding and views that can be found in the Alps !!! Central Greece has endless roads and several options to get from one place to another. There are antiquities to see at every turn and in one week we were able to see Delphi, the Proussos Monastery, Meteora, the Vikos Gorge and on Peloponnese we saw Ancient Olympia and the Ancient Theatre of Epidaurus. We barely scratched the surface on our trip and will definitely come back to MotoGreece for our next rental”. Our Customers return for more ! Yes, this is again proof of what we are saying, and of course a hint for you, regarding the quality of our services. “John planned a 14 day trip for me through some of the best motorcycle riding roads in the world.